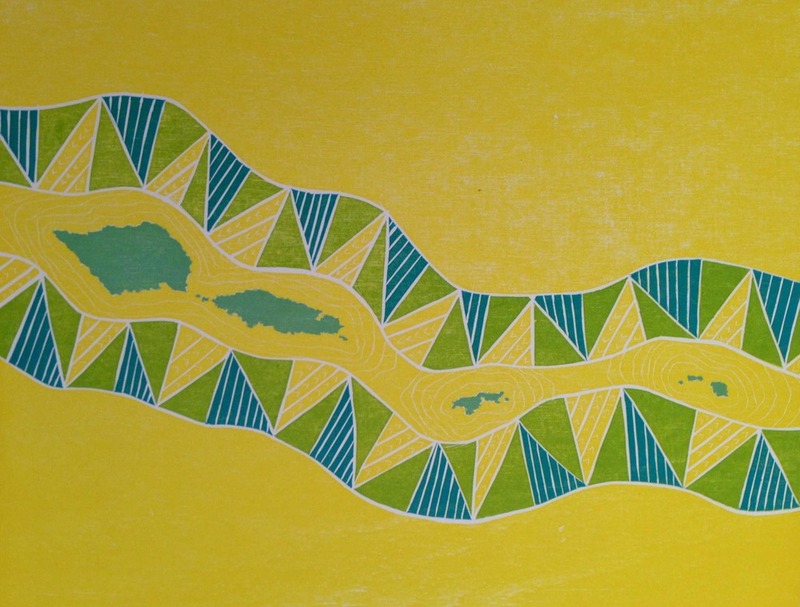 The paintings and prints on paper in the Loimata o Apaula | Tears of Apaula series reference family histories, spirituality and connection to place through a personal cartography and visual language drawing on Sāmoan motif repertoires. The works investigate the narratives, mana, and sites of cultural memory associated with ancestral figures Apaula and Vaea, in ʻāiga extended family lands in the Sāmoan archipelago. 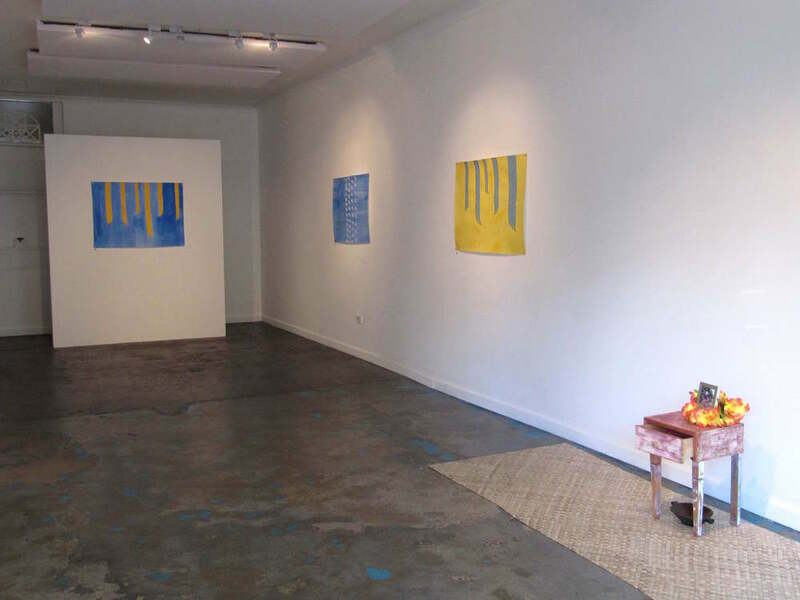 The Loimata ʻo Apaula series was exhibited in solo and group exhibitions detailed below. O le saʻiliga faifai pea a le ātisi, ua momoliʻina mai se ʻata fou, mai i se lagona o le ātisi poʻo se faʻatautaiina, ā Leuli Eshraghi, i le saʻiliga o ni mea tōtino faʻatasi ma le talaʻaga o lona ʻāiga, i ā lātou gāiʻoiʻoiga uma ma ni lagona o loʻo afi-afi ai i totonu le ʻāiga lautele i ona ʻeleʻele, ma le taʻatiaga o Sāmoa i le faʻatāliʻooliʻo o le Vāsā. O le POTUAIGA ose vāega o lo’o soifua ma tausasami ai, o se faʻamāopoopoga o le ola, mai i le lāitiiti ma le fetūfāʻai, mā ē ua lagomau mai tia, o se vāega o le sāvaliga ma ni tūlaga o ni mea tāʻua, o loʻo faʻamālamalama mai ai ni tūlaga tāʻua o aso ua tuanaʻi. Conduit Arts presents new paintings by emerging artist and curator Léuli Eshraghi, investigating familial histories of movement and sentiment inscribed within his ʻāiga extended family lands in the Sāmoan archipelago and around Oceania. 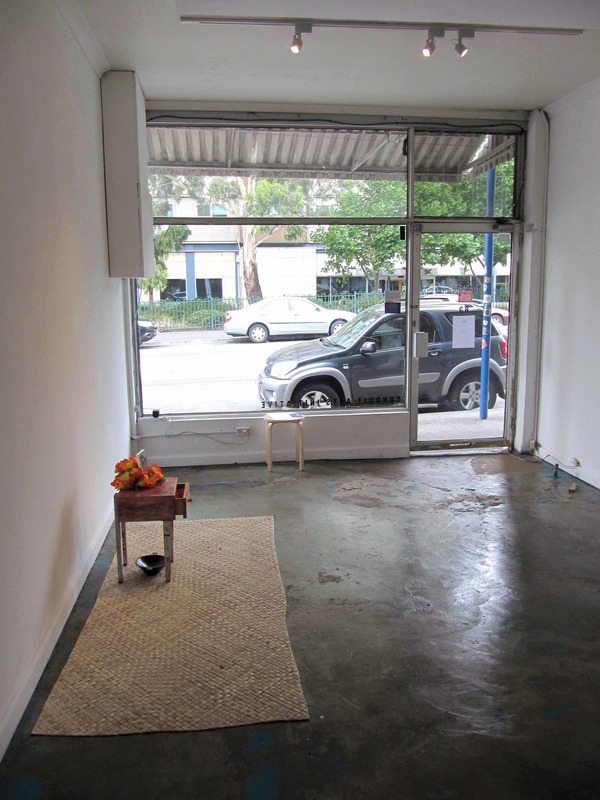 POTUAIGA is a space to share food in, to recollect childhood and long-gone shared living, part of an ongoing exploration of transnational cultural memory and its myriad sites. In POTUAIGA, sentiments of gain and loss are explored through the migration and repatriation of ancestral figure Apaula who left Sāmoa to give birth to new life in her native land, Viti, only to return broken hearted. These works draw parallels between the loimata/tears of Apaula in the vaomatua/forests of her adopted village below her lover’s embodiment, Mount Vaea. Faʻafetai lava | Gratitude to Sean Smith, Mariaa Randall, Marie Schoenmaker and Leo Kavanagh. Curatorial Statement Meleponi Pasifika (Melbourne Pacific) was a multidisciplinary exhibition that showcased a broad range of contemporary artists heralding from various Australian Pacific communities. Ideas of unity and shared experiences combine to create a new place for Pacific Islanders on foreign soil. In many Pacific cultures the concept of space between objects, people or ideas is not seen as a separation but a unifying link to each item. The Samoan word for this is Va (space). Meleponi Pasifika is an imagining of those who dwell in the va, between cultures, between their homelands and between ideas. We who transition between this space are not cut off from, but intrinsically linked by these connections. The combination of the two place names Meleponi and Pasifika also belies the cultural pluralism that we sometimes have to assume in various situations. Where are you from? What is your culture? These are all too familiar questions asked of artists who do not appear to belong to the wider community. This conversation is not unique to our communities, but it is our individual and collective experiences which maintain its validity and our desire for inclusion in this discourse. Design, painting, weaving, printmaking, installation, ceramics and digital art are the mediums showcasing the depth and diversity of our artists. The breadth of mediums also offers a counter to any preconceptions of Pacific artists and their work. Part of the challenge and purpose of a show such as this is to present a snapshot of what is happening in a city with a relatively small population of Pacific Islanders in comparison to other centres such as Auckland, Sydney or Brisbane. Several of the artists have internationally and nationally recognised careers, so showing artists at differing levels of experience provides a glimpse into what is and what is yet to come from this part of the world. For the past decade, Pacific Island artists in Australia have been contributing more frequently to the discourse of Indigenous cultures in a contemporary art framework. During this time, a generation of artists have emerged who have known only Australia as their homeland but tap into their heritage to explore the dichotomies and/or synchronicities inherent within bicultural or pluralist existences. Whether enveloping their practice with their cultural motifs or exploring Western methodologies, each artist's perspective is relevant to the Contemporary Pacific Art movement in Australia and internationally. Meleponi Pasifika offers this uniqueness of voice from the Pacific Australian experience. Meleponi Pasifika exhibits work by established and emerging contemporary Pacific artists currently living and working in Melbourne. Curatorial Statement Themes of cartography and memory run between these works, creating an atmosphere that is hard to define. The artists have used paper as strata for reflection and gesture, texture and time.